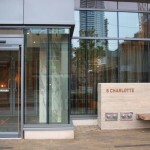 Charlie Condos, located just north of King West at 8 Charlotte Street, is an elegantly designed 32-storey tower in the heart of the Entertainment District. An eclectic destination that never sleeps, this location is perfect for the trendy yet fashionably cultured Charlie. With public spaces and lobby showcases designed by the award-winning team of Cecconi Simone, Charlie’s interiors will exude sophisticated extravagance without the sacrifice of comfort. Designed by Diamond & Schmitt Architects, the 267-suite Charlie Condos embody elegance and fashion, an extraordinary space with rich detail in its design. With a heritage brick foundation to support the glass stretching along the tower’s soaring aluminum frame, 8 Charlotte is the perfect mix of classic and contemporary. Complimenting its designer look, 8 Charlotte St is steps from a number of the trendiest bars, cafes, lounges, restaurants and clubs in the city, with easy access to the major arts, culture and fashion venues. Not a theatre fan? 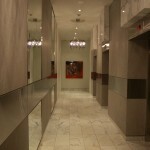 Charlie Condos is also steps away from the city’s major sports venues.